Chevy Spark Forum : Chevrolet Spark Forums > Vendors > CARiD.com > 5% OFF on SAA Products at CARiD! For many of us, 4th of July means getting a well-deserved day off, enjoying the sunshine with friends and family, and scoring some great shopping deals. 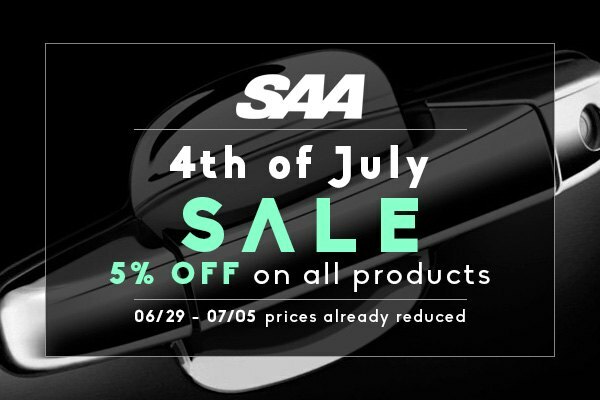 Today we are here to treat you with a new great offer on SAA chrome accessories at CARiD! Buy any stylish SAA product with 5% OFF the original price. Prices are already reduced. Act now, this offer expires on July 5, 2018. Even if you're not a big fan of chrome, you've probably noticed that it can change the entire look of the vehicle, when tastefully applied. SAA gives you a wide selection of high-quality chrome products for almost every side of your Chevy Spark. They are great add-ons ready to level-up the style of your vehicle and give it a glimmering look. Made from stainless steel, they feature smooth mirror polished finish, that is sure to outshine everyone else on the road. It will take you a couple of minutes to install your new chrome trim as it’s based on 3M foam acrylic adhesive that ensures the strongest bond.